Ummmmmmmmmmmmm...........looks like....I don't know lol. BUT it is my turn to post a gun technically, since I guessed correctly. However I can't think of one to post right now so I'll post it later if I remember. Name this Pistol, Manufacturer and Model. Correct and a Cigar for the Man! I don't know what it is but I know I want one! That's an Andrews. 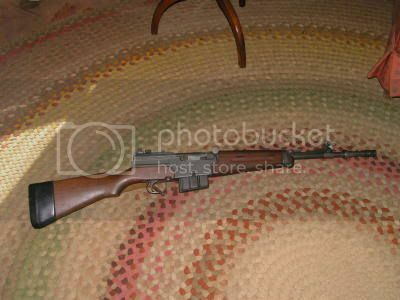 Andrews Machine Carbine I believe it's called. Is there a surviving example of this thing? That would be my question also, no one seems to know anything about it. It was designed by an Australian, named Andrews. 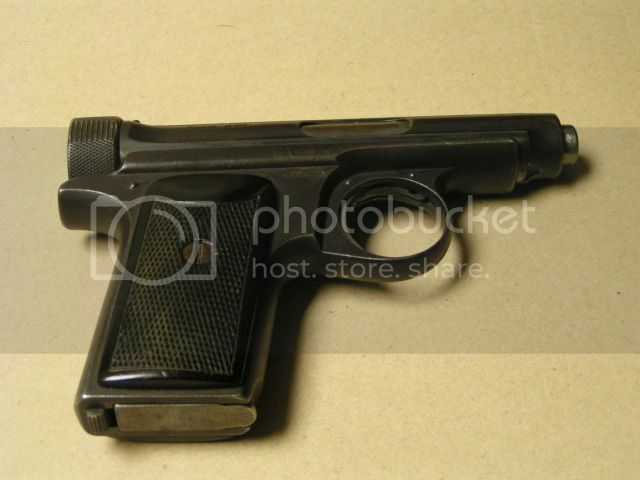 It fires 9mm Parabellum cartridges from a Sten Magazine, made in 1943 by BSA, for British Army trials. It used two full-length guide rods, one above and one below the barrel. The guide rods carried a pair of recoil springs, as well as carrying the bolt inside the receiver.